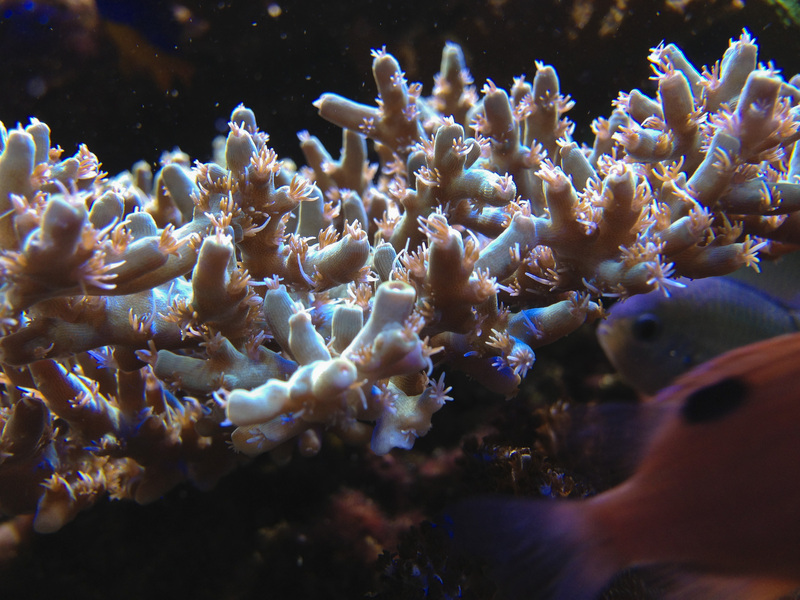 This article analyzes oligotrophy and its implications on the life of a modern reef tank. 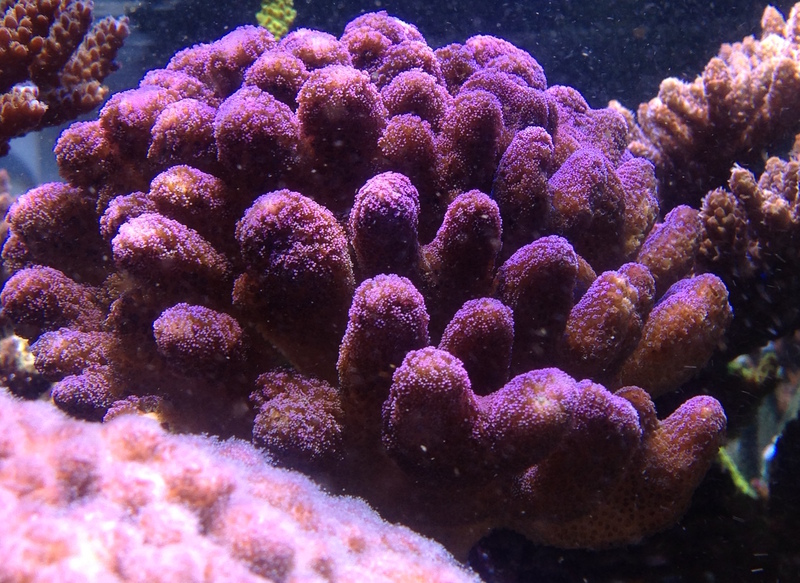 Oligotrophy is literally the scarcity of nutrients, this term immediately refers to something not positive, however when we apply to reef tanks, it is the main feature for reaching best coral coloring. This frantic quest for oligotrophy misleads lots of aquarists who try to reach lowest values, using enormous skimmers, resin reactors, zeolite, biopellets, algae filters, and miracle products. Only few people consider the opposite concept, what we call waste products are also nutrients, indeed they are metabolized by zooxanthellae and converted to carbohydrates which feed corals. This is the reason for which corals bleaches when we remove too much nutrients from water: zooxanthellae can’t supply their metabolic needs, nor coral ones. The binomial nutrients/pollutants represents the 2 faces of a medal and often we forget about this: we try to reach oligotrophy reducing food and enhancing biological and chemical removal of waste products. The correct shuffle in my opinion is to feed the right quantity and accustom our tank to metabolize what we introduce. The “secret” is to maintain nutrients virtually at zero, the keyword is virtually. The dissolved fraction of nutrients must always be the lowest possible: not due to a physical absence, but rather to an equilibrium between food introduction and decomposition. By this way corals can always get what they need and zooxanthellae can’t over-proliferate because the nutrient availability at each instant is extremely low, but it never lacks totally. This explains the concept I outlined before: equilibrium. I think that if we want to get best results, we should quest equilibrium rather than extreme oligotrophy. Human being is a very good example, a man needs about 2500 Kcal daily and if he eats more of less than the ideal food quantity, inevitably problems occur, the more serious the more he varies food assumption. Another important factor is that usually we consider only measurable pollutants: ammonia, nitrates, nitrites and phosphates. The issue is enormously bigger, there are many other molecules (organic or inorganic) that affect fish and coral life: amino-acids, lipids, proteins and carbohydrates. Each single molecule has an effect on reef biology, it is useful to observe the tank and his inhabitant’s reactions for understanding the trend, predict the evolution and quantify the damages caused by our actions. Why do I said damages? Because often, attempting to better things, we make tragical errors that affect tank with times and modalities we cannot calculate. Going on I want to underline another aspect that should be obvious but it is often ignored: corals represent an excellent natural filter, self-regulating and in continuous expansion. Zooxanthellae are the heart of this recycling system, they use the wastes from the metabolism of other organisms for generating energy and nutrients for the same organisms, it’s life cycle. 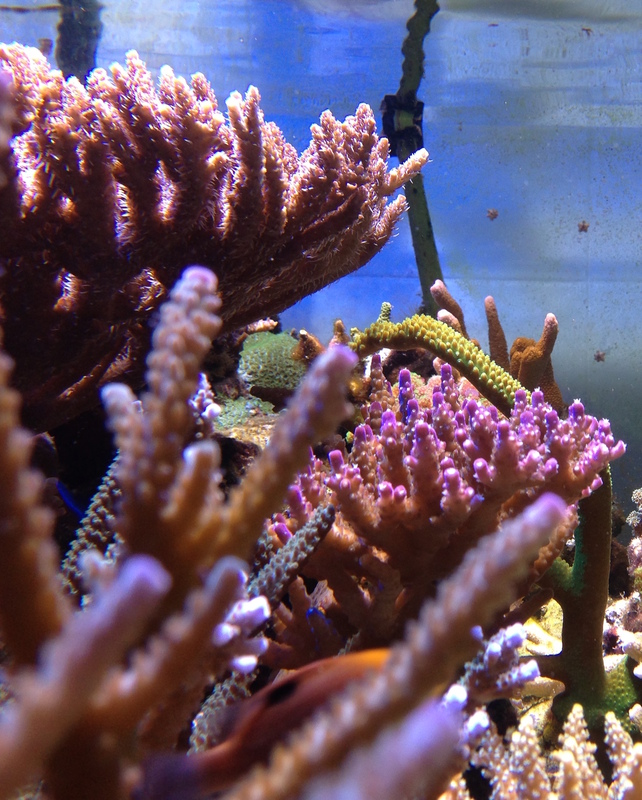 Now it should be easy to understand that if corals are healthy and metabolically active, they decisively contribute to the maintenance of conditions favorable to themselves.